What do housekeeping professionals need to know about bed bugs? Bedbugs are small blood-sucking insects that live in cracks and crevices in and around beds. They crawl out at night and bite exposed skin to feed on blood. 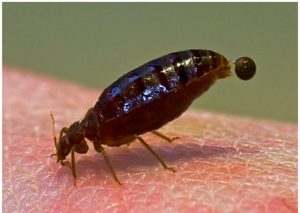 Due to the nature of transient nature of international hotel guests, bed bugs are likely to be present in a given hotel room at some point in time. 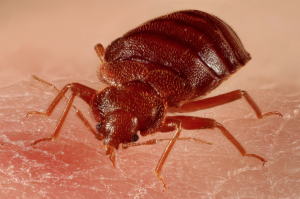 An undetected and untreated bed bug infestation has a huge impact on guests, staff members and possibly the hotel’s reputation. It becomes clear, that housekeeping team members should be aware of bed bugs to enable the them, as front line staff, to spot a possible bed bug infestation and initiate the required next steps. Pre-occupied with the busy day to day running of a housekeeping operation, the needed education about bed bugs might fall by the wayside. However, there is nothing that stops housekeeping professionals to take a pro-active step. Learning is investing in oneself and in one’s career. How to spot a bed bug infestation? How to prevent a bed bug infestation? What is the impact of a bed bug infestation? Leaners completing the whole online course including the knowledge quizzes are able to download an official hsk-knowledge.com certificate of completion. Access the course here and start your learning journey today!